Briante Weber picks the pocket of Kyrie Irving and avoids Irving's block attempt to finish with a layup at the other end. Check out the Charlotte Hornets' Top 10 plays of the 2016-17 NBA season. Briante Weber drives to the hole then dishes a pass around a Bucks defender to Miles Plumlee for the flush. 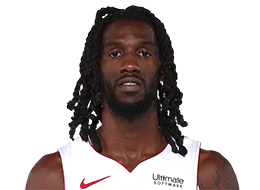 Briante Weber cuts to the hoop and gets the feed for the floater. Check out the Top 10 Plays from Saturday night's action in the NBA. Count down the top 10 plays from Wednesday night. Take a peek at the Top 10 Plays from Friday night's action in the NBA. Jonathon Gibson explodes for 30 points to lead the Mavericks to a 83-64 win over the Heat. Briante Weber cleans up a blocked shot with a putback layin. Justise Winslow scores 21 points and grabs four rebounds to lead the Heat past the Clippers in Orlando Summer League action. Miami's Briante Weber gets denied by three Clippers defenders. Patty Mills scores 16 points with four triples, Kawhi Leonard adds 13 with two steals to lead San Antonio over Memphis. Stephen Curry explodes for 46 points, with ten threes notching over 400 3-pointers in a season, and leads Golden State over Memphis to notch the Warriors' historic 73rd win to set an NBA record. Nikola Vucevic goes off for 25 points with 10 rebounds as the Magic beat the Grizzlies 119-107. DeMar DeRozan scores 27 points, Kyle Lowry adds 22 with four triples as Toronto staves off Memphis, 99-95. Briante Weber comes up with the steal and the nice assist to the trailing Jarell Martin on the break for the slam. Briante Weber steals the ball and makes a no-look pass to Jarell Martin for the two-handed dunk.